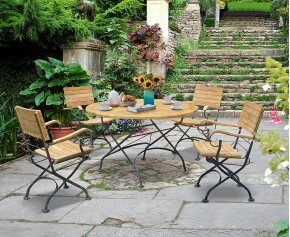 This compact square garden table and 4 arm chairs set is perfect for use as patio furniture and offers plenty in the way of outdoor entertainment and al fresco dining. 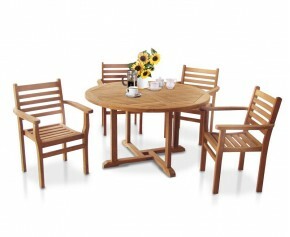 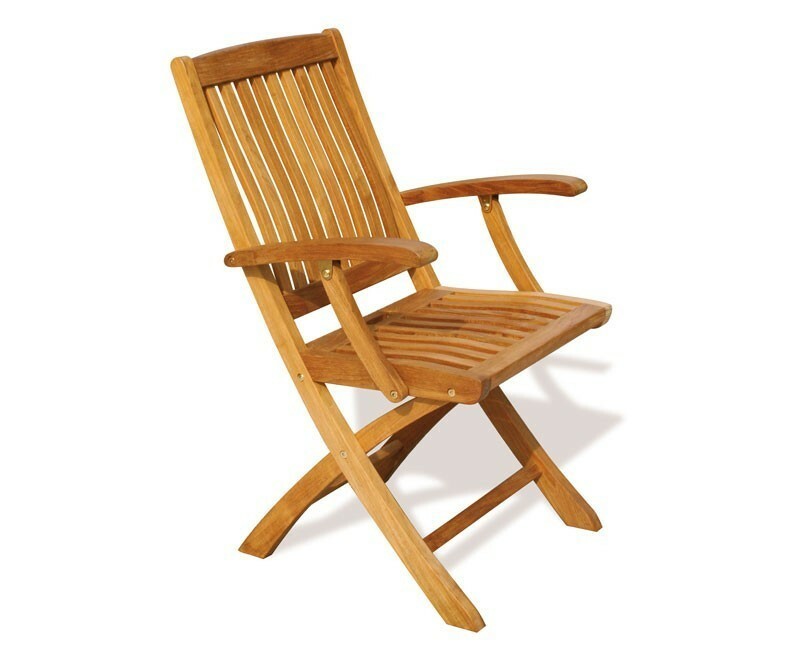 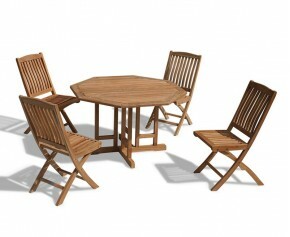 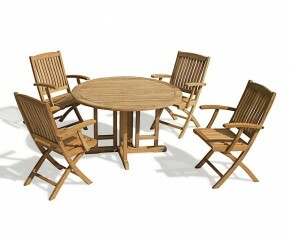 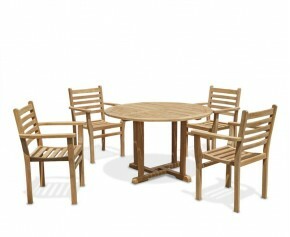 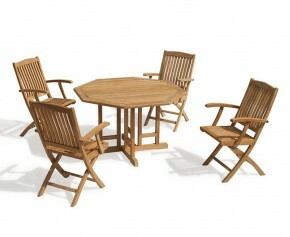 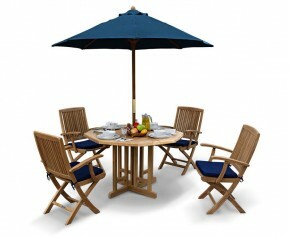 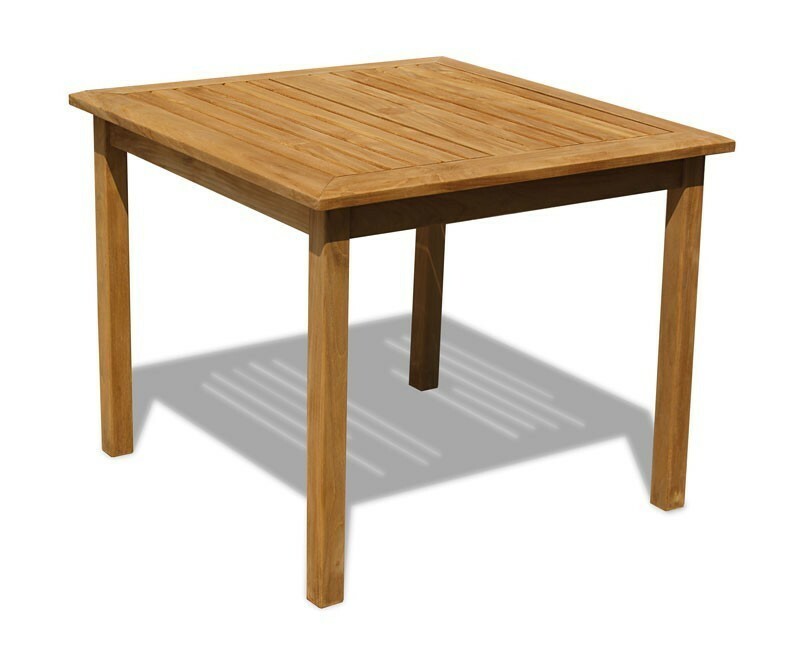 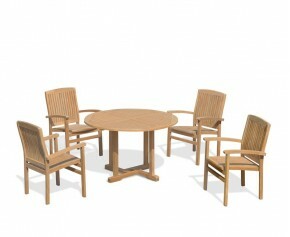 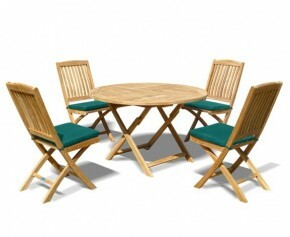 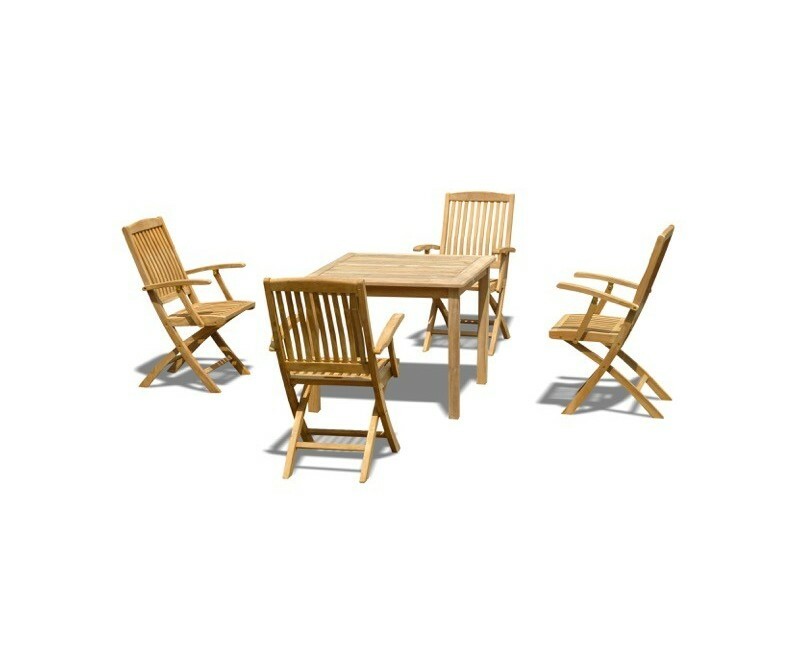 Crafted by experts in sustainable Grade-A teak, this Sandringham 4 seater teak dining set has been built to last and can be left outdoors all year round trouble-free. 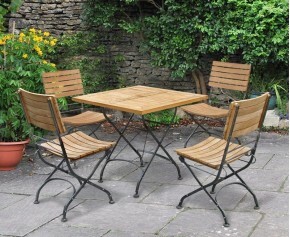 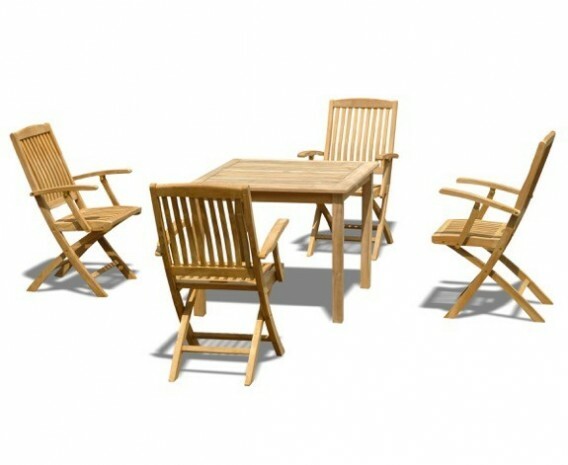 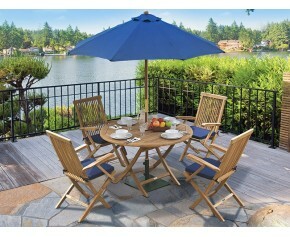 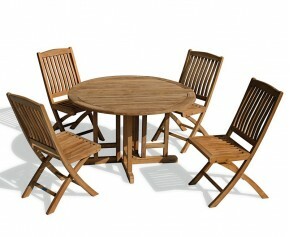 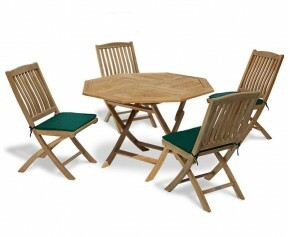 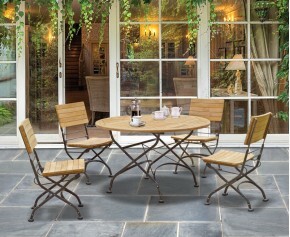 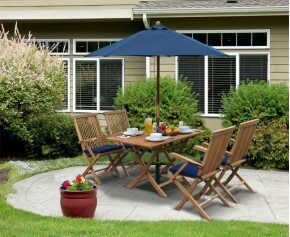 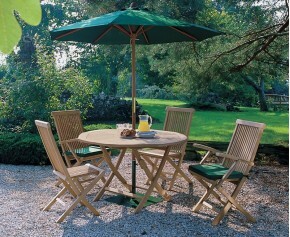 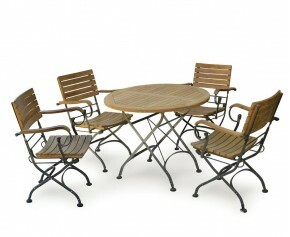 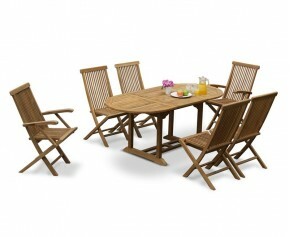 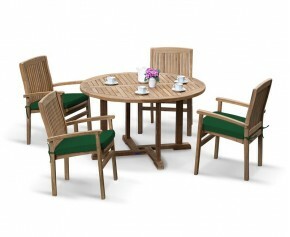 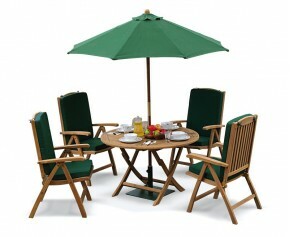 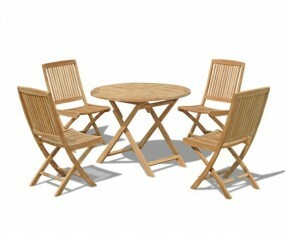 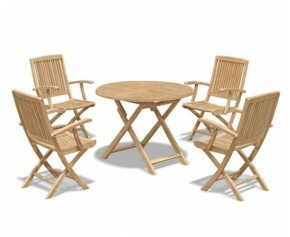 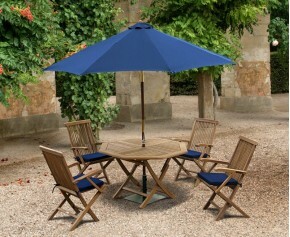 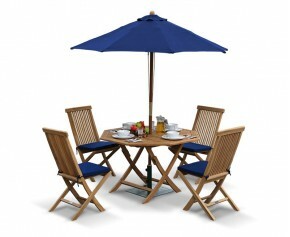 Modestly sized to fit most outdoor spaces, this 4 seater square garden table and folding chairs set can be utilised without sacrificing a great deal of space; What's more the chairs fold flat for space saving convenience and can be easily stored away - enabling you to make the most of your outdoor space.